Sherry is also not one to take a dare lightly. She started writing on a dare, and her first book, published in 1987, was the result of that dare. Recently retired, Sherry now spends her days writing children’s articles and books. 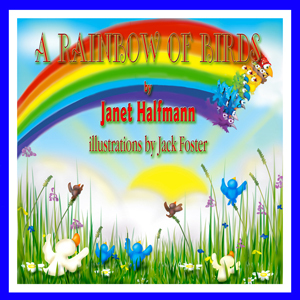 Her articles have appeared in Guardian Angel Kids, The Pink Chameleon, and Red Squirrel Magazine. 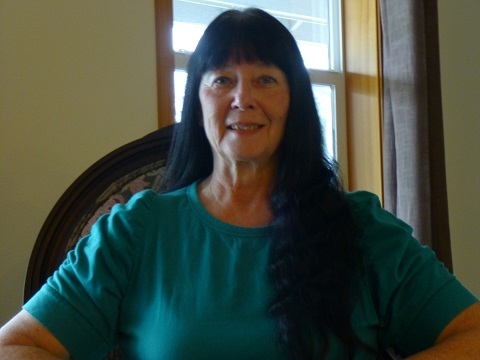 Her books include The Great Camel Experiment of the Old West, Oliver’s Hunger Dragon, and Search for the Red Ghost (released in January by MuseitUp Publishing). When she’s not writing she is homeschooling her 11 year old granddaughter—a job she says is the best part about being a grandmother, sharing her new found love of books with her family and friends, and enjoying life with her husband on their ten forested acres in Southwest Washington and the occasional pack of wild coyotes. Thank you for joining us today, Sherry. Can you please start off by telling us a bit about yourself? I love writing. When my kids were young in the 1980s, parenting was my passion. I wrote hundreds of parenting articles, and had my first book, The Home Day Care Handbook, published. I dreamed of making freelance writing a career, but finances demanded a regular paycheck. I went back to school, got my Associates Degree in Criminal Justice, and went to work for 9-1-1. I thought my dream was gone forever. Then the grandkids started arriving and with them came a newfound love for children’s books. In 2012, I retired from 9-1-1. I wanted to write, but I had convinced myself that it was a hopeless dream. On a whim, I took a course in writing for children from the Institute of Children’s Literature. That course taught me two things important things about myself—I actually could write and it was up to me to make my dream come true. So . . . this is me making my dream come true some thirty years later. I was always a storyteller, and believe me I told some whoppers. But, unlike other authors who wrote hundreds of stories before they were ten, my love of writing happened in high school. An English teacher asked me to join the newspaper staff as a photographer when I was a freshman. I found that every picture I took had a story attached. It took a while to work up my courage, but near the end of the year, I asked if I could submit a story or two. She said yes, and I was hooked. My sixteen-year-old granddaughter is a lover of books. She devours them. However, when she was in fourth grade, she decided reading was boring and writing was out of the question. One day, I was encouraging her to start reading again, and she challenged me. “I’ll read if you read,” she said. So, I accepted. She read a book, then I read it, and then we would discuss it. That summer, we read a book every week. We continued our challenge until two years ago. That’s when she started reading a book in a day and writing her own novels. When I retired, I found that I had read so many children, tween, and young adult books with her that all I could think about was writing books for children and tweens. I think you have to understand your audience whether it is kids or adults. With a younger audience, though, you not only have to tap into the child inside you but you need to introduce him or her to kids today. Once you’ve done that, it is easier to write from a younger person’s perspective. My favorite part is putting myself in their shoes. I get to be young again, and enjoy running, being part of nature, feeling free, learning to use my skills to survive, and that it is alright to make mistakes. 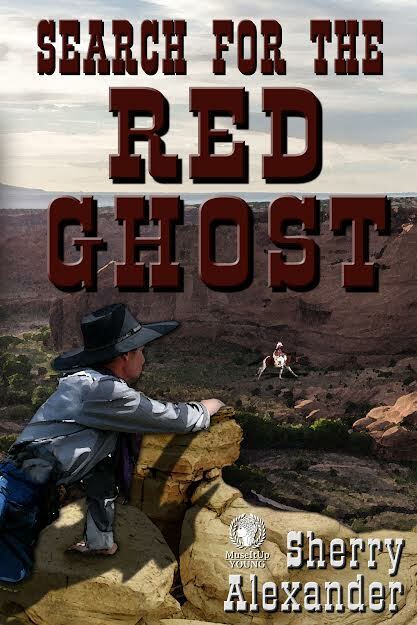 When I was researching my non-fiction book, The Great Camel Experiment of the Old West, I came across the Legend of the Red Ghost. It was about one of the camels the government brought over from the Middle East in 1857 to serve as transportation in the southwest. After the Civil War, several camels were turned loose into the desert. The legend stated that one of the camels trampled a woman to death at a creek near her ranch. The only thing left behind was several strands of red hair and plate-size tracks. I started wondering what my brother or I would do if we were faced with the same circumstance in the same time-period. I knew right then and there that I had to write Jake’s story. It’s available at all ebook retailers including Amazon, Barnes and Noble, Kobo, and MuseitUp Publishing. I am presently working on two new tween novels. One set in 1856 tentatively called, Little Owl Woman, and one in present day, tentatively called, Firestarter. Both are action/adventure. Just thank you for hosting me. It was fun. I think I’m living proof that you’re never too old to make your dreams come true. Please visit my blog or my website. I write a blog for and about kids where I cover topics that specifically relate to kids and the issues they face. I just finished a series on sadness and depression. It’s at http://www.rightsherry.blogspot.com/. I also have a website at http://www.sherryalexanderwrites.com/. My books are highlighted and my blog details my writing journey, but I also include a weekly writer’s inspiration photograph. Thank you for spending time with us today, Sherry. We wish you much success. Action, adventure and friendship fill the pages of this debut young adult offering by Gary Rodriguez. Escape Through The Wilderness finds Savannah (Savi) Evans, Jade Chang, Rico Cruz, and Conner Swift in peril when a white-water rafting adventure at Camp Arrowhead separates them from their guide. When they finally pull themselves out of the water, the bruised, beaten, and lost teens must traverse twenty-five miles of wilderness to make it back to camp; complicated by the threat of Vexel, a vicious animal that Savi believes is stalking them. This is one of those books that I could easily see as a movie. Action and adventure fill its pages, while the difficulty of four diverse teens trying to work together to get back to safety provides plenty of conflict. And let’s not forget about Vexel, whose pursuit of the teens as they traverse unfamiliar territory adds suspense. Though not new to publishing, Rodriguez is new to the YA market. It seems a natural fit for him. His character development and plot will attract many. It would be great if he could find some way to turn this into a series: either keeping the same four teens and using their summer vacations to set them up for additional adventures, or using Camp Arrowhead as the place for new adventures by a different group of teens. 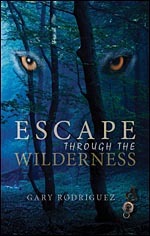 I would definitely recommend Escape Through The Wilderness if you like adventure, action, suspense, and stories surrounding legends.